The “scandalous monopolistic misuse of power by scientific publishers” is the topic of a column by ISPM Director Matthias Egger in the June 2017 issue of Horizon, a quarterly magazine published by the Swiss National Science Foundation. Egger became President of SNSF in January 2017. There's also a german version of this text. The camera roams over the picturesque Prinsengracht in Amsterdam, but the hor- ror is just around the corner.The bloated corpse of a young man is being recovered from the Bouwersgracht.The dead man is a Russian cancer researcher who has made millions of scientific articles freely acces- sible online via an Internet platform, and thereby made him- self liable to prosecu- tion. In his pocket he has a receipt from a taxi ride to Sonarweg 31, the headquarters of the Greed Elsegier Concern, the most powerful scientific publishing company in the world.A few days later, its CEO is found dead in his office chair. With its exciting plot, this imaginary episode of a successful TV thriller series would lay bare the scandalous monopolistic misuse of power by scientific publishers.Their business model is ingenious: they take knowledge financed by tax monies and privatise it. They publish the results of this research in journals to which the universities have to subscribe at inflated prices – again paid for with tax money. The market is dominated by just a few publishers who exercise their power ruthlessly. With their ever-rising prices they have long reached profit margins of over 30 percent. The salary of the CEO of Reed Elsevier was GBP 16 million in 2015. If only such a thriller could really be made, then awareness might be raised, among both the public and our politicians, of the importance of the Open Access movement,whose aim is simply to pre- vent the general public from having to buy back knowledge from academic publishers that their tax dollars have already paid for. But we don’t have to wait for TV to tell the world about it.We ourselves have the power to change the rules of the game.We simply have to stop fund- ing this all-too-profitable business with public money. 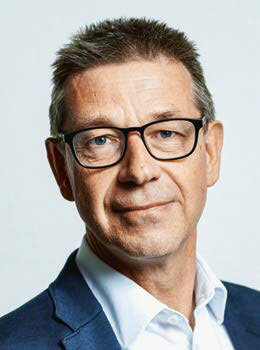 Matthias Egger has been the President of the National Research Council since January 2017.